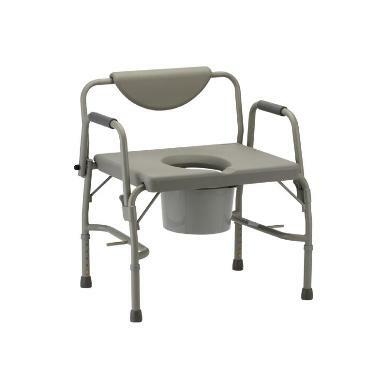 The Heavy Duty Commode has an extra-wide design, and boasts a drop-arm for easy patient transfer. It comes complete with a bucket and lid. - Width between arms 24.25"